How will the Windows 7 browser stand-off end? Hang on a minute, isn't this level playing field in the browser wars actually a barren plain bereft of internet surfing software at all? 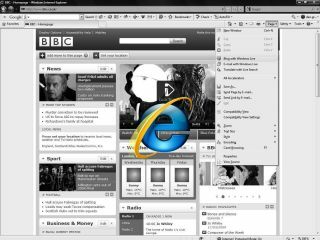 Despite what some people think, there isn't much black and white over the bundling of browsers. Microsoft's rumoured decision to release Windows 7 in Europe without a browser installed brings as many questions, and frankly as much misery, as its currently falsely inflated position at the head of the market. In the last few weeks we have heard Mozilla's Tritan Nitot's calm assertion that there needs to be a level playing field and Opera's Jon von Tetzchner insists that Microsoft's dominance of the browser market is down to their past history in bundling. The truth is that it's difficult to disagree with both of these points – and that means you cannot blame Microsoft for doing what it felt it needed to do. By avoiding censure by the EC by bundling no browser at all with the latest iteration of Windows, there appears to be several scenarios likely to occur. But some of those are far from certain to bring any kind of joy for the paying public. For the average punter, this adds an inconvenience – taking their new PC from plug and play to something that needs some kind of user choice before it is internet-ready. For those on a slow internet connection, downloading the browser will take time. If everyone with a browser is included then you could end up with a longer list than the European Election vote. Who gets to be at the top of the list? Choice means confusion. For the less tech savvy, they won't only don't know what these names represent, but what a browser actually is. For many people they just want to click the internet button and get the internet – in whatever form that takes. This would, hopefully, finally put an end to the squabbling over Microsoft's IE advantage – people have the choice to go for whichever browser they want. More people would try alternative browsers and make a decision based on what they prefer. In the memo that leaked the news to CNET, Microsoft has apparently recommended that 'OEMs pre-install either IE8 or at least one other browser of their choice before distribution. "If you do this, your end users in the European territory should be able to access the Internet without any additional steps or inconvenience." BUT - the EU want a Ballot Page, so this still remains a very likely option.